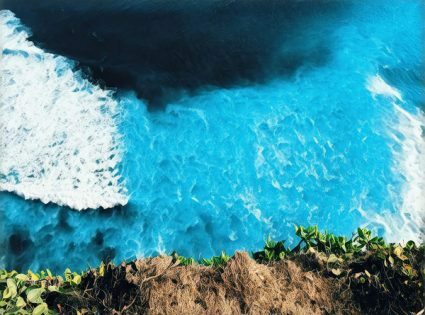 If you’re planning a beach vacation this summer, or perhaps planning an adventure trip around water sports, swimming or surfing for example or if you’re simply lucky enough to live on the coast, there’s a possibility you’ll encounter a rip current. 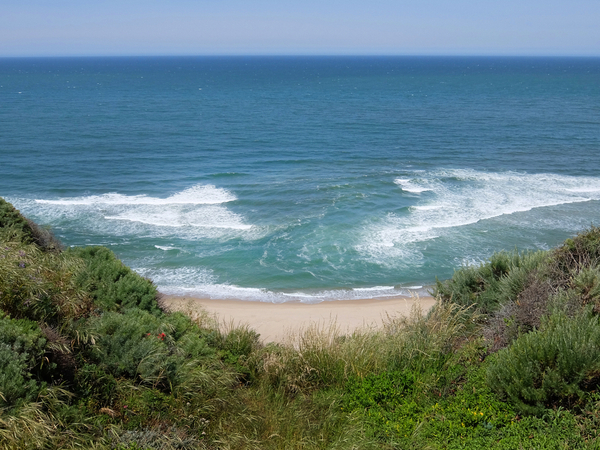 Rip currents are strong currents flowing out to sea, perpendicular to the shoreline. They often begin close to shore, where most swimmers are likely to be. Rip currents can be highly dangerous swimming conditions. According to the United States Lifesaving Association, they cause more than 100 drowning deaths per year. It also accounts for the vast majority of water rescues. 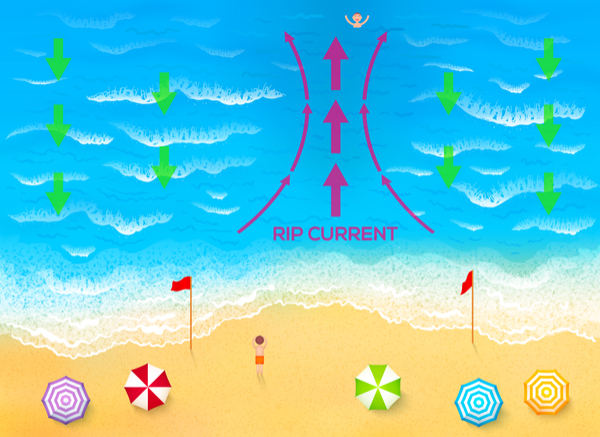 Therefore, it’s important to know how rip currents work and what you can do to stay away from them. If you can’t avoid them, how to deal with the situation and get out of them. Rip currents are common along many beaches and shorelines. They are more likely to be present and to be very dangerous under certain ocean conditions. Waves push over the sandbar, but as they recede, the flow is mainly at the break in the sandbar; water rushes through the narrow opening, creating a rip current. Rip currents are also likely to form at shoreline structures such as piers, groins, and jetties, which modify wave and current flow. In either case, the stronger the waves, the stronger the rip current is likely to be. Always pay close attention to safety signs and lifeguard advice when swimming in the ocean. General water safety rules are useful for avoiding rip currents or reducing the chances of drowning if you are in one. 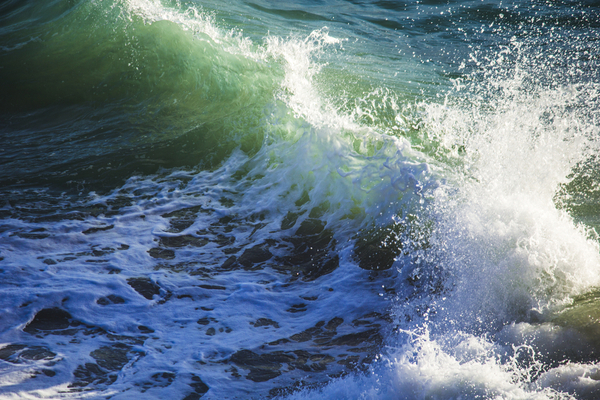 Knowing how to swim is essential since rip currents can begin in shallow water. Swimming at a beach with a lifeguard and not swimming alone are also ways to reduce the danger. If you are at a beach with a lifeguard, look for beach warning flags and ask the lifeguard about surf conditions. At beaches without lifeguards, locals may know if rip currents are commonly present in the area. The National Weather Service issues regional surf zone forecasts which include ripping current warnings. You will also get this information from your local news. There aren’t necessarily any visible signs of a rip current. You may see one if you look hard enough at the water. When you realize you are caught in a rip current, don’t panic. 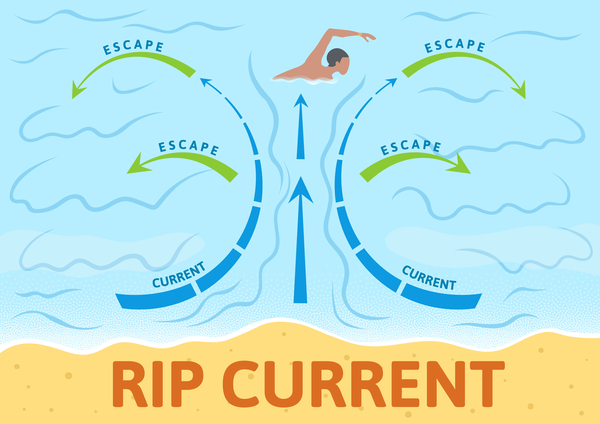 While this is sometimes easier said than done, most people who drown or get into difficulty in rip currents simply exhaust themselves trying to swim against the current in an attempt to return straight to shore. The strength of rip currents varies, from a relatively weak flow which most people can swim against to speeds as high as 8 feet per second, which no one can swim against. Fighting against any rip current is a mistake, always conserve your energy. Despite the occasional misnomer of “undertow”, rip currents drag people out, not under, so if you can float or tread water, you can survive. Instead of swimming directly against the current, simply swim parallel to the shore. Rip currents can be very narrow or very wide, but eventually, you will be able to escape the pull and then swim back to shore. If you are unable to swim out of the rip current, float until the current dissipates and you can swim to shore. If your swimming ability is weak, you can attract attention on shore by yelling and waving your arms to draw attention to your plight. Rip currents are not an anomaly – they are naturally occurring and present every single day on many beaches, and are usually too weak to be a danger. By knowing when they can become dangerous and the simple rules to follow for escaping them, you will be ready for a safe summer at the beach. A lot of Globetroopers probably swim on their travels around the world, or they engage in high energy water sports such as surfing, distance swimming, scuba diving, and snorkeling. Remember that even accomplished swimmers can be caught off guard by rough seas and unpredictable currents around shorelines and coastal waters. Always respect the ocean, as we embark on travels across the globe it can be your friend or your worst enemy, never underestimate the devastating power and strength of the sea and its capacity to awe and overwhelm us.